I am trying to implement the new ActionBar support library that was released by Google a couple days ago. In the past, I have successfully implemented ActionBarSherlock without any issues using the same method listed on Google Developer's Support Library Setup page - using the guide on how to include the resources (which is similar to how ActionBarSherlock did it). I have the library project loaded in to my own project as a library as well. I can tell the library is loading fine. When, instead of extending Activity on my MainActivity.java, I changed it to extend ActionBarActivity (as per Google's instructions), no errors occur - and it imports correctly. 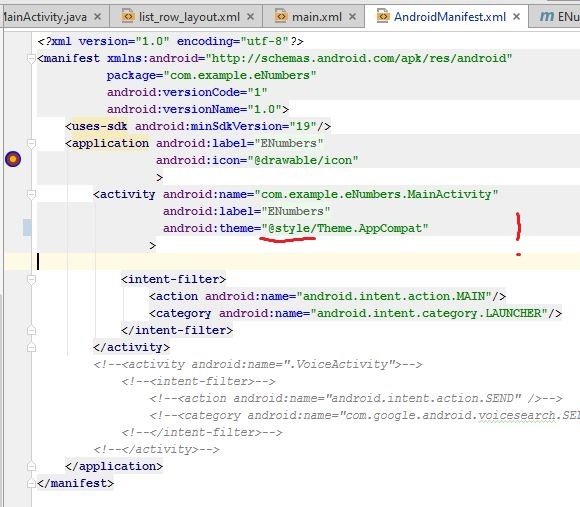 I even tried bypassing the style.xml file and adding @style/Theme.AppCompat.Light directly in to the AndroidManifest.xml for both <application> and <activity> with android:theme="@style/ThemeAppCompat.Light" with all attempts resulting in the same error. Now the issue is I cannot get it to change the theme, let alone even build without throwing an error. Below is the error I am receiving, followed by the style.xml file I changed to use the new theme. I have moderate experience working with Android apps and am running Eclipse with the latest version of the Support Libraries and SDK compiling with API 18 (Android 4.3). Any suggestions? This was never an issue with ActionBarSherlock. I want to work on using this new support library. It almost seems like the .jar is loading, but not the resources. Project-> properties->Android. In the section library "Add" and choose "AppCompat"
Now the application should run fine. 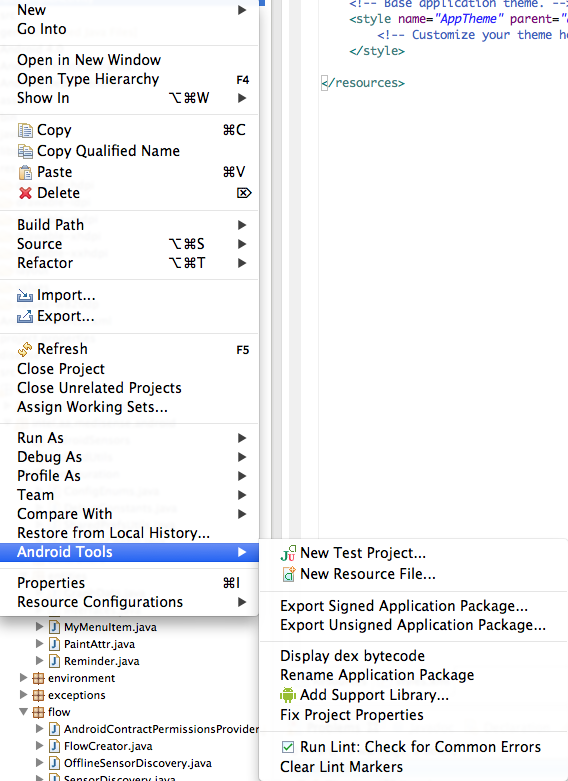 So, if you have the Android Support Library in your C: drive and your project in the D: drive on your computer, Eclipse won't function correctly and won't know where the Android Support Library is (green tick turns into red cross). To solve this, you need to move both projects onto the same hard drive. Ensured both APL and MP had the same minSdkVersion and targetSdkVersion. Selecting the "Projects" tab and adding APL. In the properties of MP, under "Android", added a reference to APL under library. 1 and 2 got the references to Java classes working fine...however I still saw the error in the manifest.xml for MP when trying to reference @style/Theme.AppCompat.Light from APL. This only went away when I performed step 3. Its bit late but here is how I get it done in AndroidStudio ! 1. Run Android SDK Manager and install the latest SDK and Android Support Libarary. The version of SDK and Android Support Libarary should be the same! 23 in my case. Another variants will give you the errors. 2. Change SDK version of your IDEA project to the last one you installed in previous step. (ps. you may not use Maven). 3. Add new Module from existing sourse to your IDEA project. Add theme with prefix @style (not another!). P.S. If you are new in Android developing, I strongly recomend you move to Android Studio & Gradle right now - you will get the simplest way of managing your android app. Follow the steps of @rcdmk. Delete the android support v4.jar in YOUR project. It conflicts with the new updated version found in appcompat. From SDK manager delete packages "Android Support Library" and " Android Support Repository". Reinstall "Android Support Library" and " Android Support Repository"
Remove "android-support-v7-appcompat" or "appcompat_v7 what else you have in your project. Select your project and from file choose properties and find Java Build Path and then from "Project" tab delete what else there and then Add. 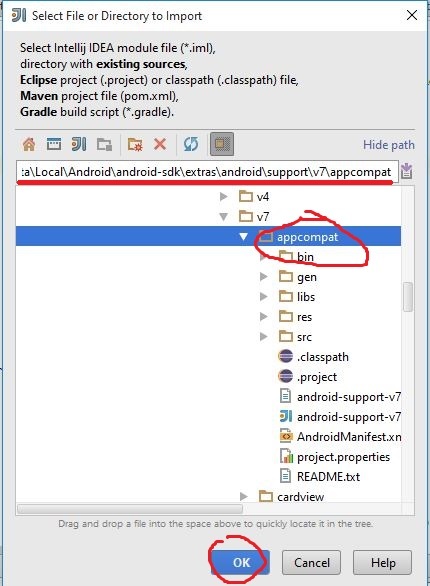 and you must see "android-support-v7-appcompat" , select and add it to Project tab. Check your project.properties file below your Project files, you will see like this; target=android-21 android.library.reference.1=../android-support-v7-appcompat then check AndroidManifest.xml file if target is 21 or what else you choosed. Also check for library reference same as your library that choosed before. Hope you will find your solution. Restart Eclipse if required. That's it. Your problem should be disappeared. Since the Import dialouge is different in Android Studio 1.0.1, I could't get Svyatoslav Lobachs version to work. to build.gradle. Worked for me. http://developer.android.com/tools/support-library/setup.html has a bug. In Property->Java build path->'Project' and 'Order and Export', there should not be any jar's. Removing them, and checking 'Android Private Libraries' and 'Android Dependencies' solved my problem. I experienced the same problem as the OP after right-clicking on my project and selecting Close Unrelated Projects. In my case, I resolved the problem by re-opening the appcompat_v7 project and cleaning/rebuilding both projects. It happened to me when Eclipse(Luna)/AndroidSDK(not Android Stduio) were used with the latest tools and library as of Jan. 14, 2015 during the project like HelloWorld. When I installed those tools and made HelloWorld the first app, I accepted all the defaults. - This is the problem in my case. 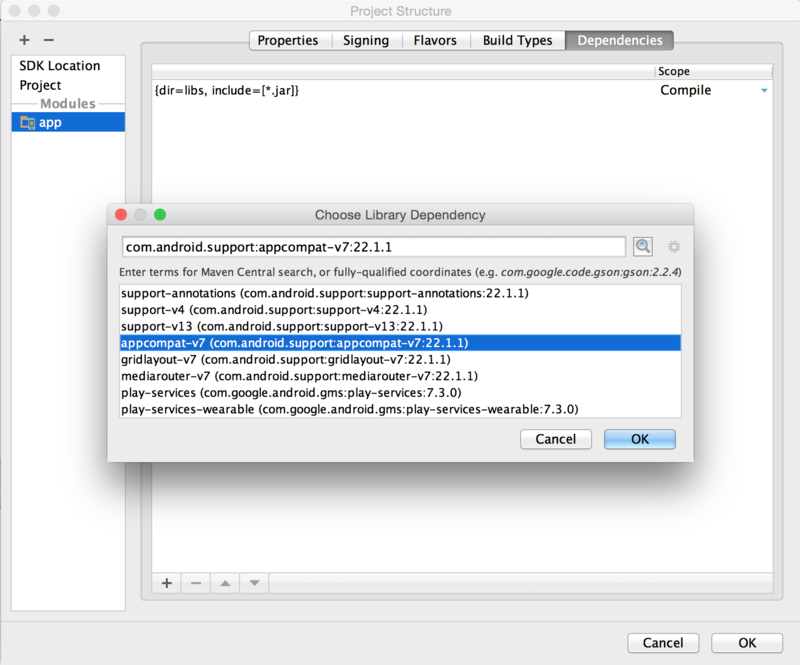 First, check whether or not the "Android Support Library" library is installed. If not, install it. It is not installed by default. You may do it all in "Android SDK manager" available in the menu. right click on the project - > Android tools -> Add support library.. I made a really silly mistake for this. When I was getting same error every time i could not figure out what was wrong. then it clicked me that once I have closed all the projects in my work space and that was the time since all the problems started. SO just check whether your "appcompat_v7" is not closed. If it is then open the project by double click and then clean and build your project again. In my case the errors were gone. Happy coding! You had better make new project with any name , then use appcompat_v7 that program make new . In the section library Add and choose library appcompat. It looks like Eclipse wants to compile for API 21 and fails to do anything with API 19. Darkly. If you have added appCompat Library and also have given proper reference of appCompat from SDK location, try "invalidate caches/Restart". 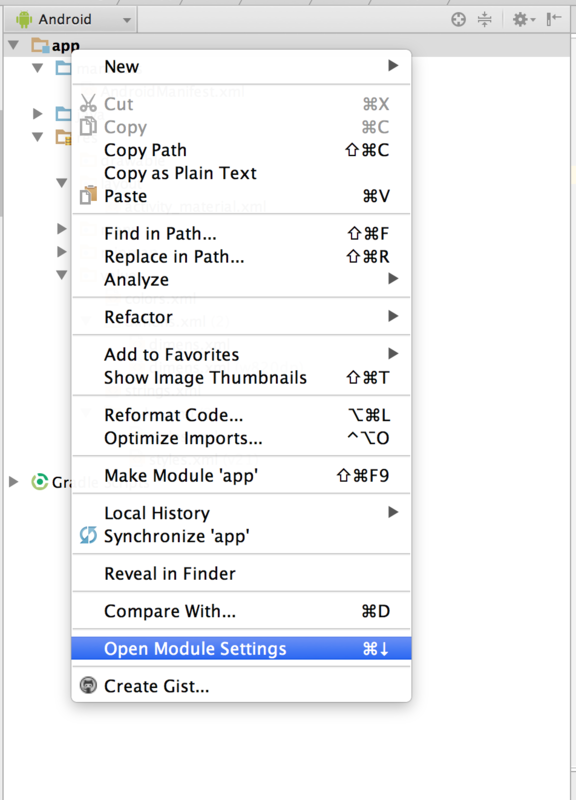 You can find it from "File" menu in Android Studio. In my case the problem occurred since I wanted to use a SDK that doesnt include the required library. When I increased the min. SDK level the problem dissappeared. Of course directly including the library's itself, should remove the error as well. Forget everything. Just use the appcompat library downloaded using the Android Studio. It has all the missing definitions. No matter whether you are using in Eclipse or not. I had the same issue and even after importing/adding a jar/library as mentioned in the answers it would not solve the error. Out of frustration, I just created a new workspace and created a fresh android project and it automatically imported appcompat_v7 and there were no errors on clean and build. Didn't have to import a single jar/ library manually. Just FYI I am using eclipse Mars.1 Release (4.5.1) and was facing the exact same issue everytime I created a new android project. Not the answer you're looking for? Browse other questions tagged android android-actionbar android-theme android-actionbar-compat or ask your own question. 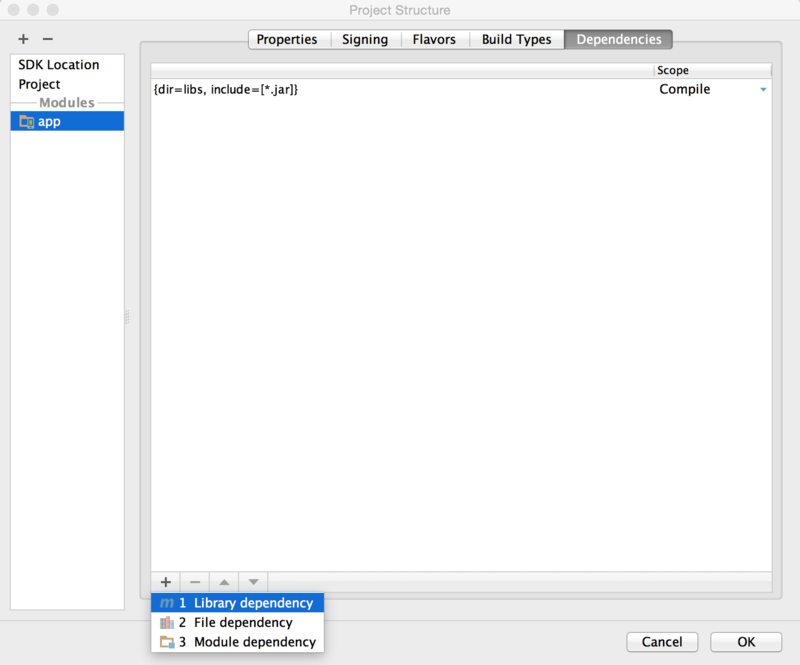 How to resolve the error “No resource found that matches the given name” when adding library v7 AppCompat in Eclipse? Giving up on support library v7. What did I wrong?